New discoveries in the study of shark genetics could help doctors grow human teeth in the future. An investigation into how sharks repeatedly regenerate their teeth has found the crucial network of genes, potentially paving the way for medical breakthroughs in the future. Sharks have a 'conveyor belt' of teeth within their jaws, so when a tooth is lost it can be replaced - sometimes within an hour. They develop multiple sets of these teeth over their lifetimes. Humans also possess these genes, but our ability to grow new teeth stops after we have developed our adult teeth. A special set of cells called the dental lamina are responsible for the lifelong continuation of tooth development and regeneration in sharks. A research team led by Dr Gareth Fraser at the University of Sheffield has now identified how these cells form, by looking at the genes involved. Dr Fraser is also a co-investigator on a Museum project looking into when and how shark teeth evolved. 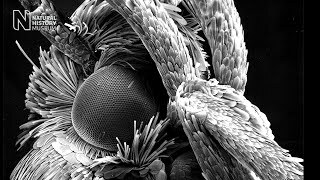 Researchers are using micro-CT scanning techniques to study both fossils and modern fish, providing an unprecedented insight into tooth development. Micro-CT scans completed at the Museum formed part of Dr Fraser's work. Images of an adult male catshark were prepared in the Imaging and Analysis Centre to show the fish's multiple rows of teeth and the region in which they form. Dr Zerina Johanson, a researcher at the Natural History Museum, said: 'Together with our collaborators, we CT scan a variety of different species to understand how teeth evolved over 400 million years. Dr Fraser also analysed the teeth of catshark embryos, and discovered how the genes function during the very early stages of tooth formation. He found that expression of a core set of genes prompt the first emergence of teeth in young sharks, and continue to be used throughout a shark's life. The study suggests that at the beginning of the sharks' evolutionary history, their teeth were most likely continuously regenerated using the same set of genes. Humans also have cells that allow us to develop new teeth, but we only form baby teeth and one set of adult teeth before these cells are lost. Researchers believe the same genes are used to grow all vertebrate teeth, from sharks to mammals. But the ability to regenerate teeth has reduced over time in mammals. Scientists hope it might one day be possible to use the newly discovered information about how sharks grow teeth to develop therapies for humans. It is possible doctors may be able to 'switch on' the same genes in humans, and allow us to replace teeth we lose as adults. 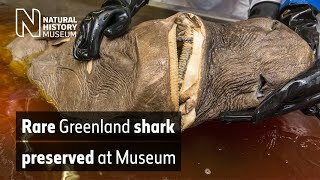 Follow the journey of a large shark specimen from a beach in Northumberland to being sealed in our spirit collection. 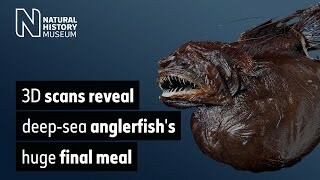 Follow Museum scientists as they solve the decade-long mystery of a rare anglerfish’s bulging stomach. This is the first mastodon fossil from Britain ever described. It belonged to William Smith, creator of Britain’s first geological map. Find out how the Museum’s traditional artworks and images made using modern techniques help shape our understanding of the natural world. Get email updates about our news, science, exhibitions, events, products, services and fundraising activities. You must be over the age of 13. Privacy notice.